I was asked what was in my pockets the other day. Odd question, but useful answers. Here’s more details re: a few items I mentioned in a previous productivity post. 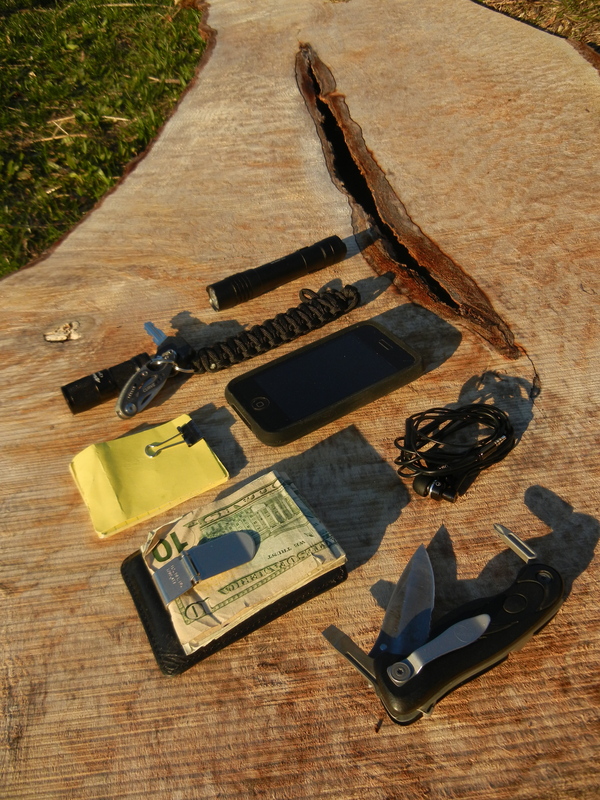 I carry the same items in my pockets day in and day out, with one additional flashlight carried during the six months of shorter days during winter. I’m a dork for pocket knives; my next one is likely the Leatherman Expanse after my current one bites the dust. In a recent trip to a tropical humid location, almost 30% of the knife developed rust…in just two weeks! Weirdest thing, but a bath in naval jelly solved the problem. I used to carry a multitool Leatherman knife, but the only tools I actually ever used in addition to the blade were the screwdrivers. I also still keep this semi-useful but dead simple multitool from Swiss Tech attached to my car keyring, although I don’t drive often anymore. I grew up thinking the “Always Be Prepared” boy scouts were geeks until I got to know a couple of Eagle Scouts in college and realized just how much practical knowledge they had been absorbing in between those useless cheesy pack meetings. Eagle Scouts are good guys to have as friends. I need to find non-cheesy options for this type of thing for my children; perhaps just teaching them myself. Update: awesome EDC site to see other folks’ productive pockets a.k.a. their everyday carry. Many thanks for teaching me the value of a backup blade + torch, as well as the usefulness of having some paracord in your pocket all the time.